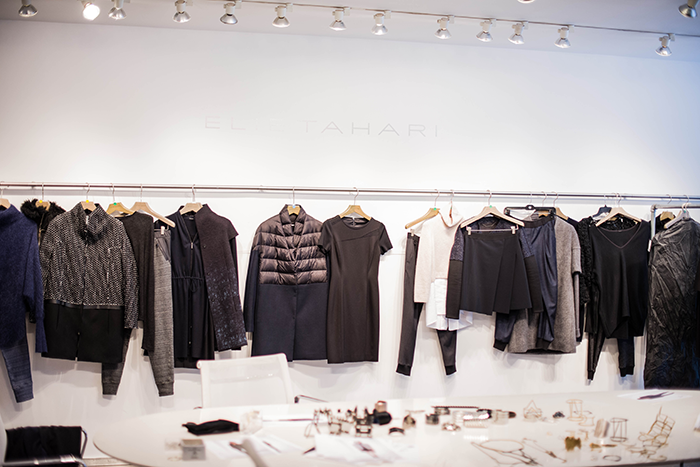 During fashion week I had the supremely rare and unique opportunity to preview and get a behind-the-scenes look at Elie Tahari‘s fall 2014 collection. 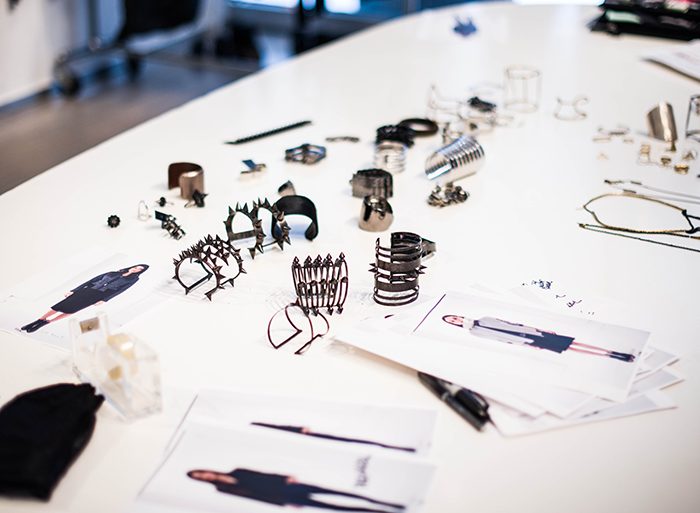 I was invited into his studio to view the final ensemble selection for the presentation, model casting, a sneak peek of the presentation space and a tour of the building (the entirety of which is owned by Elie Tahari)! It was such a thrilling experience to get a first look at all of the gorgeous pieces and to see Mr. Tahari in action. 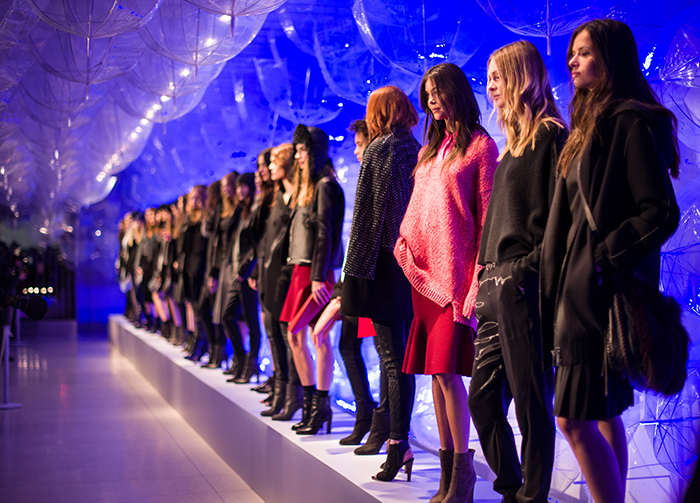 The fall 2014 collection is beyond. From multi-textured jackets, oversized cozy knits and zippers in all the right places, it’s going to knock you off your feet. Check out the rest of my photos from the day below and be sure to shop the latest spring arrivals from Elie Tahari here! Thank you so much to Elie Tahari and his team for having me! Such a neat post! I used to intern for Elie and I love the brand. He has such a neat story about getting started and is such a nice person to anyone he encounters! Looks like you had a fun week. Great pics! Those outfits look amazing! I love these behind the scenes pictures! Thanks for sharing Merritt!! Love these shots! The clear umbrellas as decor is such a cool idea. 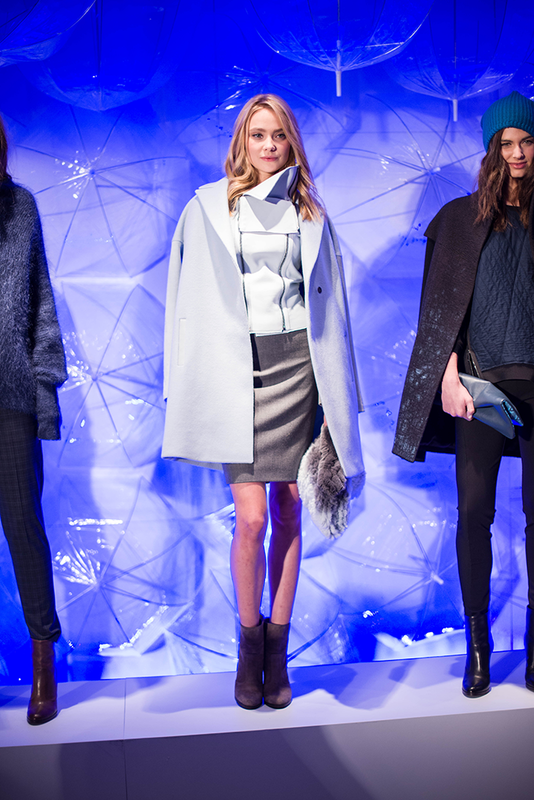 I’m loving the clothes as well, especially that gorgeous light blue coat. Great behind the scenes post. Love the red skirt! Such an amazing opportunity, and the kind of info that’s not available on Instagram, which is fun for your followers, too. 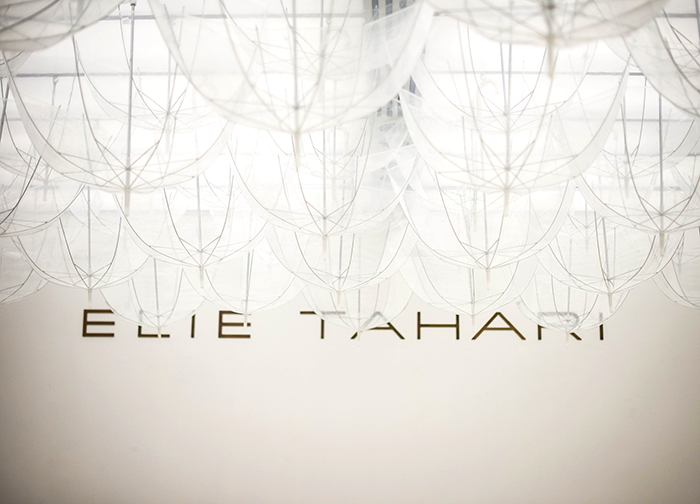 Didn’t realize that Elie Tahari’s entire process takes place in the U.S., but I’m impressed. And, ditto on the black perforated coat. Perfection!